A new task we have implemented into our daily routine is our morning job. This task involves the students working on several math skills that help each child figure out how many fish are displayed on the card. 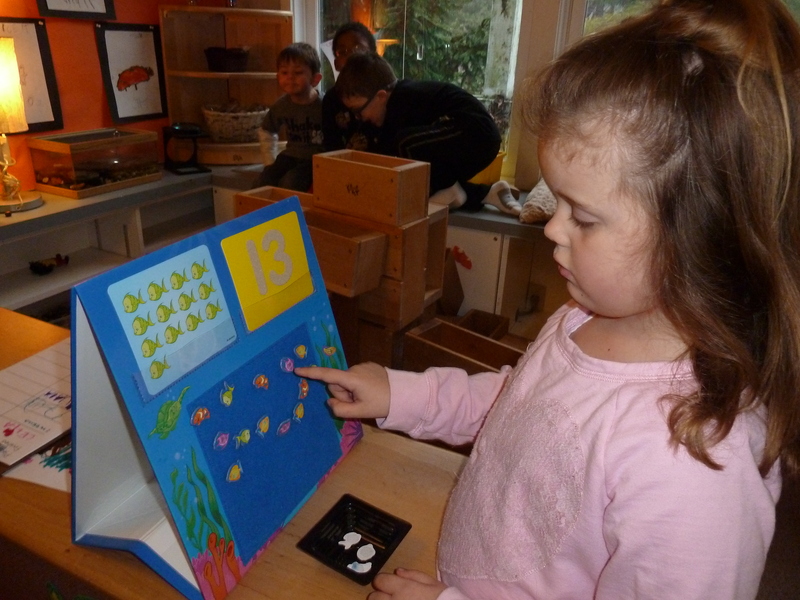 First, the students must count each cartoon fish that is displayed on the card. Then, the students trace the shape of the tactile number. 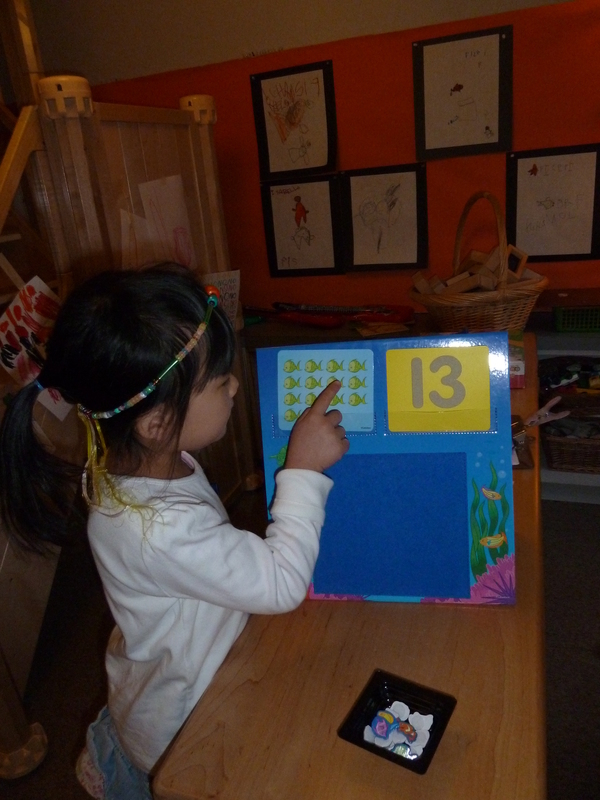 This helps the children make a connection between the items that they counted and the shape of the numeral that corresponds to that group of objects. In the last portion of the task, the student is asked to put the same number of velcro fish on the flannel board below and have it checked by a teacher. Many of the students use different strategies to achieve this task. 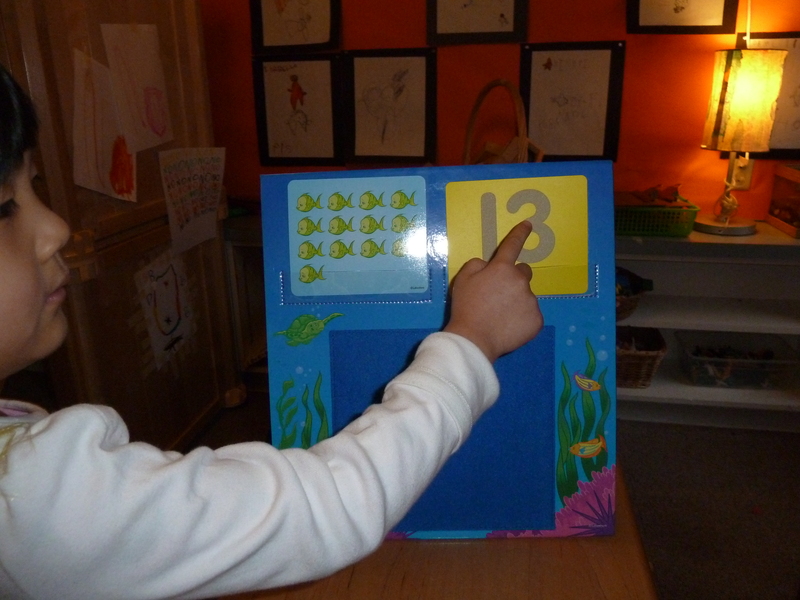 Some students count each fish as they put it on the board, while others will put several fish on the board and count after to see if they need to modify the amount of fish.